What elements of the designs were important to the success of the machines. What compromises were being made due to cost or a desire for simplicity.? 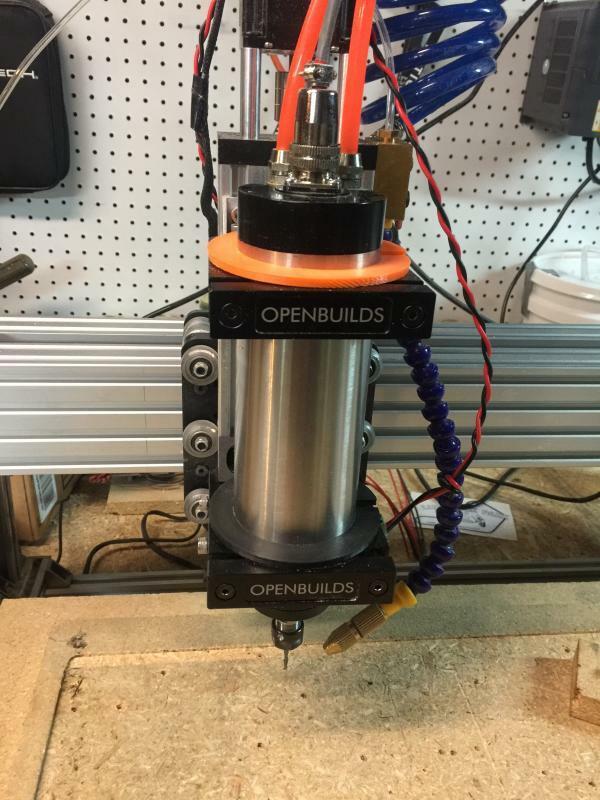 Should I used a spindle motor or handheld router? Lead Screws vs. ball screws, and what size? Would the cost savings of going with leads screws be worth the impact to accuracy? Does it realy matter for my use case? What system controller and stepper controllers? Open or closed controller hardware/software? What are the right size steppers for XYZ? What software is commonly used for DIY CNC Routers? Work mostly hardwood, but sometimes some light aluminum (up to 1/4 in). After I got my FT5 more than a year ago I started reading about the CNC kit that was coming and started getting interested in building a CNC. Now its more than 9 months ago I started building my own design and used the 500 watt spindle that John is using and built a frame with 2040. I got it to work but for most things I found the 500W to be a little weak and that the 2040 was not stiff enough and was getting flexing -> poor results. 1 decide what you want to cut and how big. If you are only cutting very soft wood or acrylic you can go lighter but if you want to cut hardwood or aluminum make sure you take that into account with the design or purchase. 2 don't try to save money on the frame - the heaver and stiffer the better if you want to do aluminum. I'm doing hobby work I am using 2080 and C-Beam's with lead screws and this works fine. After looking at a lot of other design's I decided to get a kit rather than design another my self because I was sure there were other things that I could mess up and not know until it was to late. I ended up getting the OpenBuilds C-Beam XL which is 1000 wide and 500 deep. With this size the only thing that I wanted to make that would not fit was a new base plate for the FT5, but even with that I am happy with the size. I think having 1000x1000 would require a moving X gantry rather moving the bed in the Y direction like mine. That big a bed moving would leave to much unsupported weight. On the electronics side I got the OpenBuilds NEMA 23 high torque motors (again a little more $ but I didn't want a problem later) and there stepper controllers, and 24V power supply. I got a UNO with screw shield and just hard wired the stepper controllers directly to the screw shield and loaded the latest version of GRBL into the controller. It's real simple because there are only motors to control. I have since upgraded from the router that you see to a 1 1/1 KW water cooled spindle. Router is air cooled and blow's the dust from wood all over the place so its a lot cleaner without a fan blowing. I have had no problems making acrylic and aluminum parts with this. I don't have a good picture but I made all the new 1/4" corner brackets out of 6061 aluminum for the FT5. For the Y-axis sides I will use two 30-6060mm aluminum extrusions (one for each side). On top of them will be SBR20 linear motion ball slides. These will support the gantry. I went with the 3030 based extrusions as the mounting holes for the SBR20 are 30mm side-to-side. The 30-6060's heft together with the SBR20s should provide good stability. I will use 30-3060s for the cross members. I also plan to fabricate some 250mm cross braces from 3060 aluminum. The motion will be driven by some 0.9 degree NEMA 23 76mm steppers with 1.9Nm of peak torque. These will drive SFU1605 1000mm Ball Screw. For the gantry I am going with two 20-4040s configured as a truss beam. I will create the cross members out of 1/4in aluminum plate. On the 4040s there will be two SBR12 linear motion ball slides to mount the carriage. The carriage will hold a ball screw and smooth rod linear module, which will of course hold the router mounting hardware. The module will have 300mm of motion. That may sounds like a lot, but I would like the flexibility regarding material and bit hights. I was looking into the complexity and cost associated with making a closed-loop control system. It would not be crazy more expensive to do (maybe another $300), but for now, I am going open-loop. I plan on homing each Y-axis rail before starting a cut, so any missed steps will be nulled. I guess it all depends on what materials I end up routing. I may get the steppers with the rotary encoders (about $30 more per a stepper), giving me the option later if I want. For control, I am thinking of going with Smoothie. I am using it now for the FT5 3D printer, and find it works very well. I am not sure the CNC branch is as well supported, but it appears many are using it. 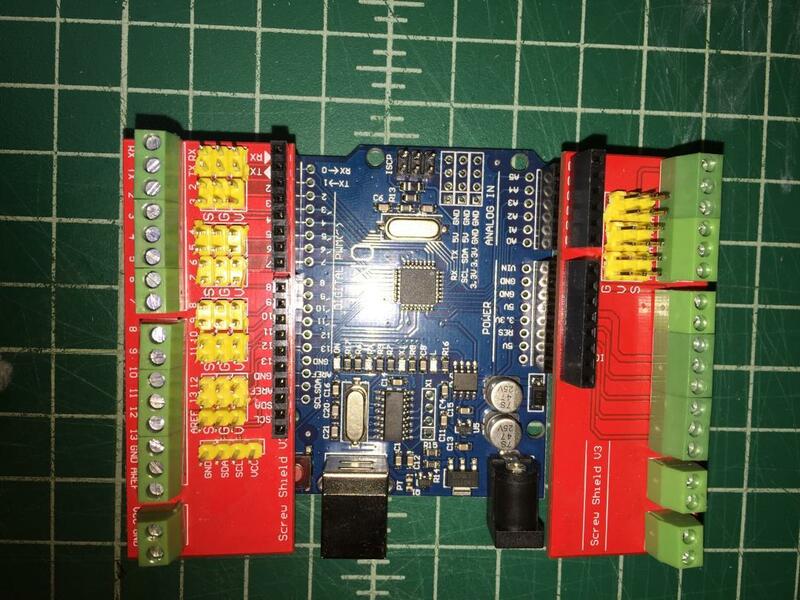 The controller board's stepper controllers will not be powerful enough for the three main NEMA 23s, so I will use external controllers. I have not decided which just yet. I may go with one of the inexpensive Chinese stepper controllers and see how it works. Well, that is it for now. I would love to know more about your software tool chain. There looks to be a lot of options out there. I am trying to make sure that the responses don't sound negative about any design idea's. There are many different level's of expectation and there are some people that think any hobby level CNC has no use. If a machine does the job its design for its a good design. I did a lot of good things with my 500W spindle with acrylic and softwood's. At that power level the speed was a little slow for the things I was doing. I liked the fact that it was much quieter than the router that I was using on the C-Beam machine so I kept using it for the lighter weight things I was doing. The main reason that I went from the router to the spindle on C-Beam was noise - which is what led me to the water cooled spindle, After installing it the decision was reinforced by the fact that no wood chips and dust was being blown around. I do have a vacuum that I attach to the side of the spindle (not in any of the pictures) and I find that it does well enough without a full boot since nothing is being blown around. If I have the air assist on it blows the chips dust in the direction of the vacuum. After seeing how quite this system was for light work I took the 500W system apart and used many of the rails building another diode laser system. I will note that when cutting aluminum and I an using air assist and the vacuum the noise level of the spindle doesn't matter because of the noise the cutting bit, compressor, and vacuum are making. The spindle does have its own 120V power/controller system and its much more complex than what I am using to run the rest of the CNC system. It motor is a 3 phase motor but the controller does all that work. The speed can be controller with a spindle PWM signal from the CNC controller but I have not done that yet and I am using the speed control pot on the front of the controller. I did get a circuit and was controlling the 500W spindle from the controller. A mod that I can write up later after John starts shipping his units with the 500W spindle. Maybe John should have me alpha/beta testing his design's since I live less than an hour from his shop. On the software side because this is a hobby I don't want to spend $1000 on a software package but will purchase the low cost options. In general I am still on a learning curve. For design I have been using OpenSCAD and Inkscape, and am in the process of learning Fusion360 but not using it for real design's yet. Prior to the CNC I use Inkscape a lot making design's for laser etching/cutting and OpenSCAD for simple 3D printer designs so I just kept using a process I already knew. I then take SVG or DXF files into Estlcam (which I did purchase) which looks to be the same direction that John is suggesting with has CNC products. It's not the most fancy or easy to use application but I can get it to generate good G-Code and not break the bank. I have not been stopped yet by an limits of function - its a tool that works for me. Because I am using GRBL in the controller I have been using GRBL Panel to drive the machine. I went with the UNO/GRBL because it was a cheap simple solution. I knew I was using external stepper driver's there was no need to purchase a full controller with drivers that I was not going to use. Again more than enough compute power for the things I am doing. I am using smoothie with a Cohesion Mini board in my K40 and there I am using the drivers built into the board. Well you can probably see a common theme of making cost saving decisions in a lot of area's but not on the frame. Oh for my part, don't be concerned about sounding negative. I'm not sure if you are holding back in thinking my present frame design is week. If you are, I would very much be interested in why you may think so. If you were speaking in regards to the router, again no worries. It is good to get perspective from someone who has done it. I don't anticipate jumping to a water cooled spindle motor as part of my first go. Although, I expect I would find it quite nice. I hear you regarding the software side of things. It is always a challenge for the hobbyist to fork over lots of $$ for commercial software. Lets face it, commercial CAD/CAM software is a significant develop effort, so I don't begrudge a company that develop it from charging what they can. It's just something I can't see myself ever buying. So, I too will be walking a similar path. Regarding the controller, I see that Cohesion Mini has the drivers socketed on the board, so that is a savings. If I do go the Smoothie path, I will at least be able to use one of the drivers for the Z-axis. Looking at the cost for some of the higher end drivers, even the chinese ones, makes the cost of the controller look small. 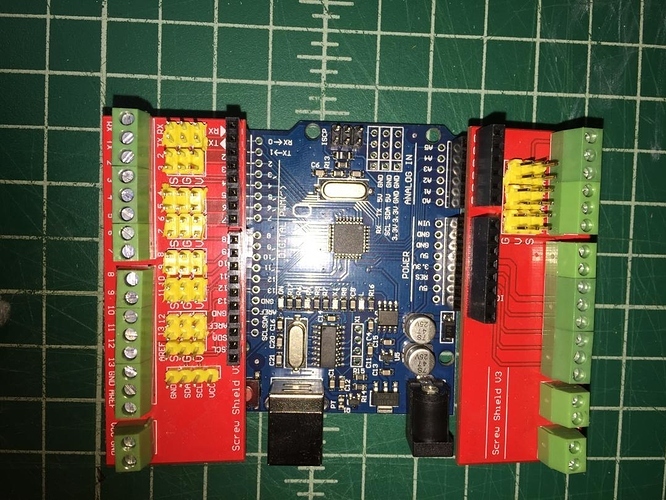 I am reading mixed reviews about the Chinese TB6600 stepper drivers, but they are inexpensive enough that I may give them a try, and see what the results are before moving up. What stepper drivers are you using, and what do you think of them? The next think I need to figure out is the endstop design. Right now I am thinking a min and max for each axis would be appropriate given the amount of force involved. I would be very upset if I got some gcode wrong and caused the machine to try ripping itself apart. Does your C-Beam XL have min and max endstops? For not being negative it was more about John's product design since he is using a 500W spindle and I had stopped using one. I have a set of the TB6600 drivers and they lasted less than a day before ordering DQ542MA Stepper Motor Drivers. Despite the spec's the TB6600 did not like working with my high torque motors and the DQ542MA works just fine. This is a case where if I had spent a little more the first time it would have been cheaper. I have Homing on everything except the C-Beam XL (which could be added any day). I find them easy to do, I print a small base to mount a micro switch on that will use a T-nut to attach to the beam and then do fine adjustment as needed. I configured the GRBL code the way that I wanted to home X and Y but not Z that I use on the Laser's as well as the CNC. Using the $ commands in GRBL I turn homing on and off to meet my needs of the day. I have never used the MAX endstops. If you have the current set right on the stepper drivers and you hit the end you get motor skips and no damage. I had something fall into a track one day and it acted the same as hitting the end. I got motor skips - and totally messed up the part but no damage to the machine at all. 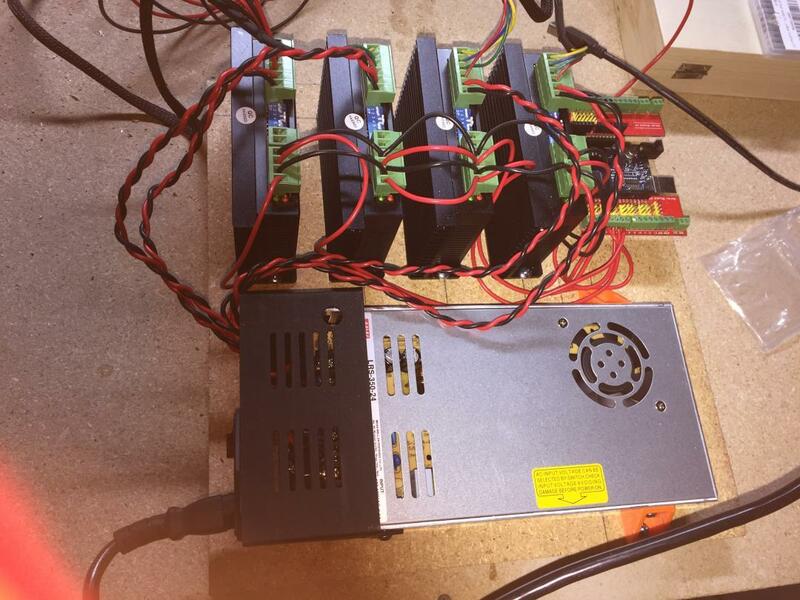 @wild.bill have you ever heard of the Acorn CNC controller made by a Centroid? It is a closed system, but very much professional grade. It is targeted at the serious DIYer and small shop retrofits. I am intrigued as it looks very polished and complete. The control board, PSU and cables are also not outrageous for a DIYer, just $269. The downside though is the closed nature of the hardware and software. That said, the feature set and sophisticated UI make me think it would have all the capabilities I would need. They also have a support forum for the DIY community to help one another, which is monitored by their tech team. You can even get paid support ($90/hour) if you run into a dead end. They have two other controllers for the real pro systems. I have also been looking at the higher wattage spindle motors (both air and water cooled). I am kind of amazed at how inexpensive they are on ebay. Makes me really wonder about the quality. I am reading reviews that run the full spectrum. Can you tell me more about your spindle motor? What is it like to maintain the water and accoutrements? Is the power you wanted there? Have you run it at slower speeds (<9000rpm)? Is that a custom mount I see on your system? What size collet does it have, and has the size limited bit selection? As a woodworker, I try to stick with 1/2in bits (including solid carbide) as they just work better in my 3hp router table. I am not sure if that should be a real requirement for the spindle motor. If so, I see the ER20 collet (smallest size that can support 1/2in) start in the 2.2KW size motors. The most intriguing part of the three phase motors is the ability to slow them down and still maintain torque. This I would think makes machining materials like aluminum much easier. Have you played in this area? Hey just continue the discussion and feed my imagination! 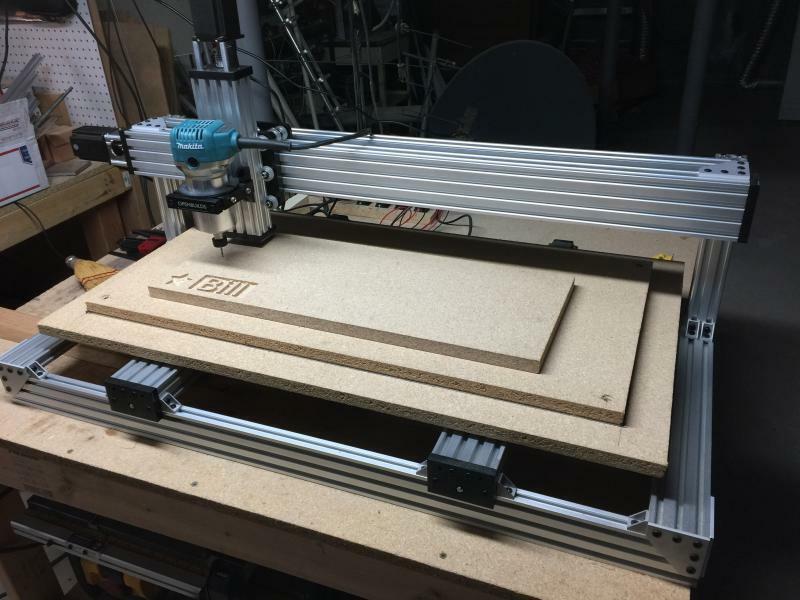 Very interesting as I was/am thinking about building an alu-capable CNC router myself. I do have a Dutch supplier of CNC stuff nearby and wanted to go for a water cooled motor 1200W@24.000 rpm and other parts from his shop. Sorry all, it's been a bit of time since I last visited. Just to let you know, I have embarked on the process of building the CNC router. I have put the 3D printing on the back burner for now as I jump in with both feet. I will put some pictures together with some descriptions. My design is custom, but I am planning to use the Acorn board for control. The one thing I will say, the $500 is just a starting point and I have now gone way past that. Building a capable CNC router is not inexpensive, but compared to a commercial unit it is cheap. @PaulS good point about the dust collection. I have a dust hood in mind for the cnc spindle motor, and already have a dust collector in my little woodshop.